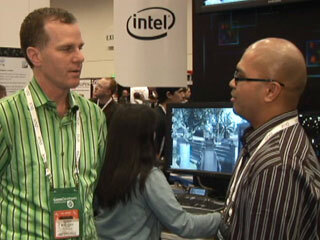 Intel was showing off the power of its Quad-Core processors at the 2007 Game Developers Conference in San Francisco. Some of the biggest PC games were playable at Intel’s booth, including Crysis, Hellgate: London and Company of Heroes. PodTech’s Rio Pesino and Intel’s Randy Stude discuss the importance of quad-core, creating multi-threaded games and where the company sees itself in the gaming space.